Decluttering can be a challenge when you’re talking about decluttering sentimental photographs. It’s fairly easy to toss out a sweater that’s too small or a coffee cup with a chip on it. When it comes to what to do with excess family photos, the decision becomes a little bit harder. While you could certainly leave all of the photos in boxes stacked in your closet, it’s tough to enjoy them that way. Hoarding sentimental clutter is something that many people struggle with. I’d much rather be able to flip through my favorites and remember each one than hunt through a box of poorly taken photos that I have no memory of. If you follow a few of these tips for decluttering sentimental photographs, your photos will be easy to access and enjoy in no time. 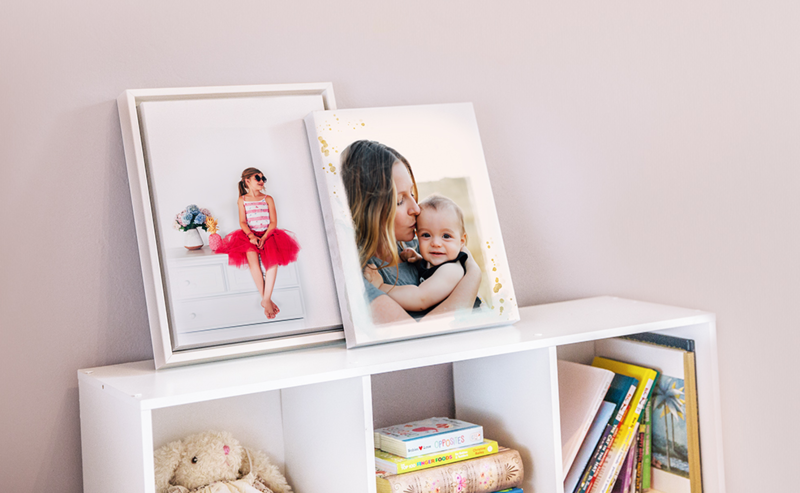 Unless the photos are one-of-a-kind, you probably don’t need to keep photos of the kids with red eyes, nineteen duplicates of your child’s first steps or the photo of your ex-husband. Feel free to toss anything that is poor quality or that you have more duplicates than you will ever need. If you hate the way you looked in a photo, give yourself permission to get rid of it. Purging photos is difficult but it is important when you have more than you can easily enjoy. If you’re anything like me, you probably have photos in your photo box that you have no idea what they are. I had 25+ photos from a trip to the zoo that I do not even remember taking. There were no people in any of the photos and none of the animals were so rare that I felt I needed to hold onto them forever. Do you have scenic photos you can’t identify? People you do not remember? Feel free to get rid of them. Now that you have kept only the photos you truly love and remember, you need to organize them. There are a number of different ways to do this from photo boxes to scrapbooks. If you’re crafty, feel free to put each photo on its own page with scrapbook embellishments. If you’re like me and you’ve been meaning to scrapbook those photos for 3 years, consider a few different options. You can easily turn your photos into a photo book or into wall art. That way you can enjoy the photos without feeling like you need to be crafty. Mixbook has introduced a new type of wall art – Metal, Acrylic and Poster Prints. The industrial and cool Metal Prints still have the same vibrant colors as all others but with an edge. Rugged enough for a man cave and sturdy enough to withstand kiddo-traffic heavy spaces. They come ready to hang and won’t shatter if they are dropped. This is an ideal way to declutter your photos easily. Turn your favorites into wall art. If you are looking for the perfect gift for the person who has everything, look no further. Mixbook’s curved Metal Prints are your answer. With a unique curved edge, this is eye-catching piece will add finesse to any living or office space. Impress your hard-to-shop-for friend with this unique gift, customizable with any photo and exclusive to Mixbook’s home decor collection. Acrylic Prints have a glass-like finish with brilliant clarity. They are a sleek and contemporary eye-catching gift idea. Missing something for the friend or family member who’s basement is filled with music posters from years past? Spice up their space with another customized poster to match their collection. Select your favorite image from an old road trip and you are ready to go! Check out the benefits of decluttering your possessions and this unique feng shui idea. Becoming overwhelmed with so many photos is the reason why I stopped getting prints after going digital. But that just means they're as disorganized on the computer now. I have several year's of backlog to cull. It definitely can be a challenge sometimes. I hope these tips help!